The mens’ soccer team were able to turn their fortunes around in the month of October ending the month with a record of 1-3-1. They opened the month with a hard fought loss at the hands of the Guelph gryphons by a score of 3-1 but then were able to battle back against the Waterloo Warriors to a 0-0 draw. The following week agains the rival Western Mustangs Marik Bronfield was able to lead the way and score the game’s lone goal and behind some stellar goaltending by keeper Rocco Strazzella the Golden Hawks were able to win the game with a final score of 1-0. 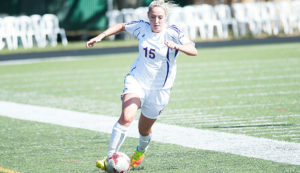 The Hawks then ended their season with a pair of 0-0 draws against Windsor and Brock. The Men unfortunately were unable to make the playoffs this season but did end on strong note and will be looking to carry that into next season. 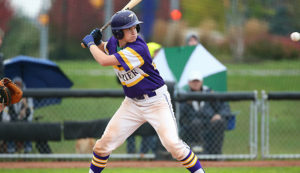 The men’s baseball team looked to continue their stellar season into the month of October and were able to finish the month with a record of 3-1. With a sweep against Western and a split decision against UofT the men’s team were looking prime for a deep playoff run. They brought the heat in the first round with an outstanding effort from the team prevailing against McMaster in the quarter finals with a score of 2-0. They continued the hot bats and brought it the university of Queens and were able to escape a nail biter with a final score of 5-4. In the finals the hawks continued to battle and fought a tough match against Toronto but fell just short just missing out on the championship trophy but still were able to finish a very respectable 2nd place. The Hawks had an outstanding season with some great performances all around, they’ll be looking to bring the same effort into next season and hopefully when they’ll be out looking for revenge.